Have you seen an ad for a supplement that offers a “FREE” Trial? Or an ad that says they only charge you a small fee for shipping? Well very often these ads are complete scams and they hide all of their deception in the fine print which nobody ever reads. Here is how the scam works. You fill out a form on some website to see if you “qualify” – everyone qualifies. They get all your information and tell you it’s only $5 or $10 for the shipping. Now they have your credit card. In 14 days or 30 depending upon the company they send you another bottle of the male enhancement pill at full price – normally over $75! They will then continue to send you the pills every month until you cancel. The problem becomes that the scam companies – will never stop sending you products until you literally cancel your credit card! It is a nightmare. The most famous example of an auto billing scam was the original owner of Enzyte. A guy named Steve Warshak. In fact it was Warshak who coined the phrase natural male enhancement. He would send you out a free trial and bill you no matter how many times you called to cancel. The Feds finally caught up with him, charged him, convicted him and he was sent to prison for 25 years! He stole over $200 million dollars! Now not all free offers are a scam. Some companies offer a free bottle, and then bill you every month. But they tell you ahead of time. Many guys like to get a shipment every month so they don’t have to keep calling the company, and there is usually a cheaper price because it’s easier for the company. Also note on Enzyte: Steve Warshak is in jail and has nothing to do with the company. The new owners are very ethical, solid people, and they do not operate any kind of auto shipment billing scam. One company that is totally sleaze of auto shipment is Prolixus – good luck canceling with them – see their profile below. 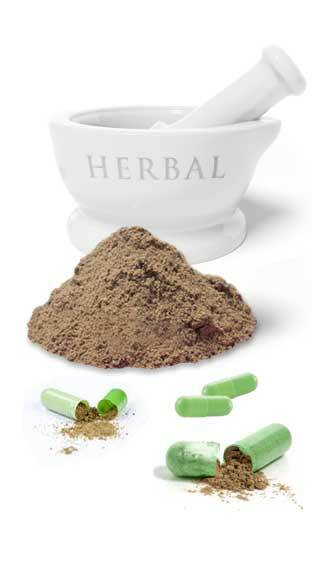 Cheap herbs are another way the consumer gets ripped of by a lot of companies selling supplements. 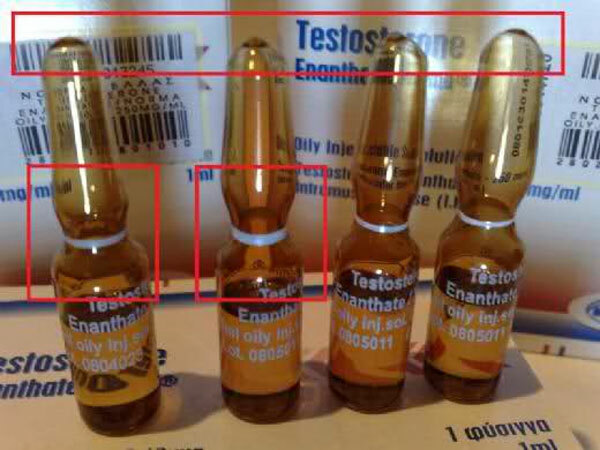 The next time you are in GNC or some drugstore look at the ingredient labels of a few testosterone supplements. Very often the ingredients seems similar, yet one product will work great and the other will not work very well at all. How can this be possible if the ingredients are basically the same? The answer is simple. A lot of companies try to cut corners and use cheap, low quality ingredients thinking nobody will be the wiser. I discovered that many manufacturers get super cheap herbs from China and can save as much as $4 a bottle in manufacturing costs. If they sell 2 million bottles a year that’s an 8 million dollar saving. You can see why sleazy and greedy manufacturers might be tempted to use cheap ingredients. This is why we spent thousands and thousands of dollars having all of the top-selling supplements analyzed at one of the nations leading nutraceutical labs. The results were shocking! Hardly any of the top-rated pills contained an effective dosage of ingredients. Without the correct dosage there is no way you can expect your t levels to increase. This scam of using cheap powered herbs is one of the reasons why I love the Lab Reports section so much. It lets you know who the straight shooters in the business are and who make good supplements, versus who is just ripping you off with bottles of cheap powder. The Food and Drug Administration (FDA) is in charge of making sure that supplements do not contain any illegal substances and are safe for consumers. You would think that if a product is natural there is no way it would contain a chemical or prescription drug. That’s what I initially thought too. But sadly it is not the case. There have been hundreds – yes hundreds of supplements taken off the market because they were secretly laced with drugs. The latest company to get busted was USP Labs. This supplement juggernaut was charged with 11 counts related to the unlawful sale of dietary supplements, according to a federal indictment made public Tuesday. Benjamin C. Mizer, Principal Deputy Assistant Attorney General for the Department of Justice’s civil division, said that USPlabs misled consumers about their products including the marketing of synthetic Chinese ingredients with falsified certificates of analysis as natural additives. USPlabs “doctored packaging, labeling, and other paperwork to defraud others about what the product was. Much of the alleged fraud focused on the defendant’s claims that their products were made from natural plant extracts,” Mizer said. One of the easiest ways to determine if a product is laced with an illegal drug is by the price of the product. If you go to a gas station of a 7-11 type store you will see they sell products as either one pill or two pills. If the price for these pills is above $8 then the odds are extremely high that they are laced with drugs. The reason is that even the best herbs in the world are far cheaper than pharmaceutical chemicals. So these crooked pill makers that put drugs in their products have to pay a high price to get the drugs and then to put them in the product, so they pass the cost on to the consumer. The Food and Drug Administration (FDA) is in charge of making sure that natural It’s true. There are a host of companies hiding outside the United States in tiny island countries that try and send illegal pharmaceuticals into the USA. The government has cracked down on a number of these rogue pharmacies as they are called, but new ones continue to pop up all the time. The real danger is that these pills are not what you think you are getting. There is a huge underground market for counterfeit supplements. Products that are brewed up in some guys garage or kitchen sink. I have been the victim of counterfeiting many times in the past. Most people fail to reallize that the fake supplement industry is huge and dangerous. Products manufactured outside the walls of controlled labs that are FDA approved pose quite a risk to consumers health. Just as if you were to walk into any major city you will see vendors selling counterfeit golf clubs, fake Rolex watches, fake Gucci bags, you will also find fake supplements, steroids and other health items. The market for fake supplements continues to grow every year. The Internet makes distributing these products really easy. You no longer have to walk down some shady alley or visit a dangerous part of a city. You can simply go to a website or even EBay or Amazon and buy what you think is an original product only to get a counterfeit – a well-done counterfeit. Authorities are cracking down more and more on counterfeiters, but it is still a big scam. You are better off buying your supplements from a reputable site. You can also buy from well established retail stores and online stores, but stay away from the places that offer super low prices as often they are selling you junk with a counterfeited label. It’s not only where you buy but what you buy. We have spent tens of thousands of dollars having supplements analyzed and tested at the most reputable facility in the country. Take advantage of what we have done and pick out a supplement that works like it should! So many of the doctors recommending supplements on the Internet are absolute fakes. They are literally just made up. The photos of the so-called doctors can be purchased on the Internet for less than $5! Former Enzyte owner, and current federal prisoner Steve Warshak, admitted in court at his trial that he ran ads in national magazines and said the natural male enhancement pill Enzyte was developed by a doctor from Harvard and a doctor from Stanford, and that it turned out neither of these doctors existed. He totally made them up. 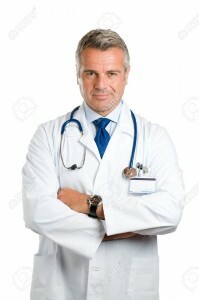 Pictured here is a photo of a doctor that is making the rounds on countless supplement websites. Some websites give him a fake name, some just make ridiculous claims that their product is “doctor approved”! Don’t get taken.